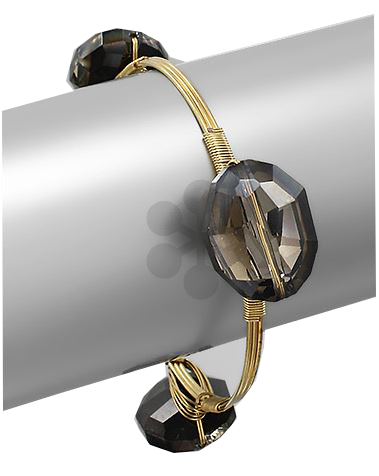 Beautiful authentic look black diamond iridescent faceted stone gold plated bangle. Wear one, stack with others. One size fits most.